Not an apple this time, but I still was actively pursuing the "Red" issue when I did this one. 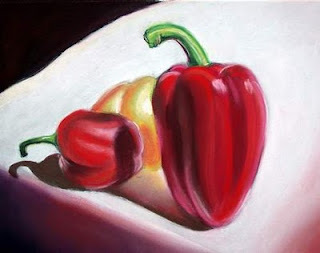 This was another contender for the "Red" art show, but I ended up preferring the apples. However I do like the crisp edges in this one, and the constrast between the lights and shadows.